If you’re not already using Event Espresso or Event Smart, there’s never been a better time to switch to a new and improved online event registration and ticketing management system. The tools available in Event Espresso and Event Smart are professional, fully-featured, polished solutions that make it ridiculously easy. Heard about our Community Chat Group? Join a real-time community chat group for professionals that are leading the way in events from event management, event technology and event marketing to work-life balance. When looking for a new online event management system, this question comes to everyone’s mind. Which one is better? Is it better to pick a self-hosted event registration system such as Event Espresso, or is it better to go with a hosted solution such as Event Smart? In this article, we provide you with information that compares Event Espresso vs Event Smart side by side with list of pros and cons, as well as a detailed look into the associated costs. What is a hosted online event registration solution? Simply put, a hosted event management solution means that another company is hosting your event website, your registration forms, and your registration data on their servers. Event Smart, Eventbrite and Ticket Leap are a few examples of hosted event registration and management solutions. What is a self-hosted online event registration solution? A self-hosted event management solution is software that is installed and managed on a server that you rent, own, or manage. 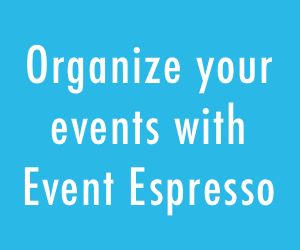 Event Espresso is an example of a self-hosted WordPress.org powered event website. Complete control and flexibility. You can do whatever you want with your website. You are in full control. Your site will NOT be turned off because someone decides that it is against their terms of service (as long as you are not doing something illegal). You are in control. Autonomy. You can upload custom themes. Modify theme files (not just styles) if needed. Since the WordPress installation is self-hosted, it’s your own. Requires more time and work to maintain. Since your Event Espresso and WordPress installation is self-hosted, you have to manually update and maintain it (if something goes wrong or it’s not performing as fast as it can ex. installation of a caching solution to minimize bandwidth usage and speed up performance). Like any other website, you need a good web hosting. This bit costs you money somewhere from around $15 – $30 per month (as your site grows, your hosting costs will too). But then you would be making enough money to cover the costs. Software licenses. Depending on the type of license, you’re looking at spending around $70 – $220 per year, just for Event Espresso. You are responsible for updates. Event Espresso and WordPress should be updated on a regular basis. You are responsible for backups, but thankfully tons of amazing plugins are out there to help you make it easier, but you should be making backups. Greater security risk. Malware (malicious software), spam and hackers target self-hosted websites because it has potentially the lowest security. If you neglect updating to the latest version of Event Espresso or WordPress, you can potentially expose yourself to malware. Advanced user interface and features for Webmasters can cause things to be harder to use, setup or configure. More affordable. Event Smart is more affordable for simple events. You can host unlimited events, even sell paid tickets for free. 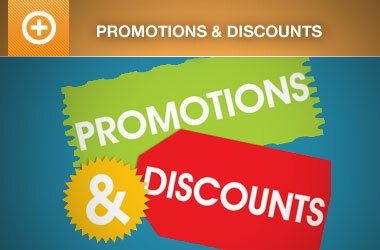 Event Smart is less expensive than most other other hosted WordPress plans. If you look at WP Engine pricing, you’ll note they start at $29 per month and go up to $249 per month. Only pay for the features you want/need. Convenient all-in-one solution. You don’t have to get separate hosting, install or update the software, and generally mess with any of the back-end stuff – it’s all done for you in a all-in-one-package. Focus on your events, not the technology. Spending less time managing your server and dealing with those pesky hosting limitations and more time with your events and attendees. Regular database backups of your site. More reliable. Hosted (or Software as a Service, SaaS) companies have better infrastructure than you. They have more powerful servers, redundancies and dedicated staff available to manage the infrastructure. They maintain and update Event Espresso and WordPress more that you would. No traffic spike will take your website down. More secure. No malware will infect and corrupt your installation. Search engine optimized events and content. Exposure. Event Smart provides a network of sites hosting events, so there is more of a chance that we can help you attract more attendees. Event Smart is working on a event directory to help attendees find your events. It’s free for upto 1GB of space. Which is more than enough for most medium size websites. After that you will have to pay for space (only $3 per month for 3GB). No custom plugins and themes. Custom plugins and themes are not supported with most hosted solutions, as this cuts down on the problems that can occur with plugin and theme conflicts. No FTP access, which means a limited amount of customization are available. FTP access to hosted solutions usually do not exist at all. Event Smart controls your data. If you feel uncomfortable with another company controlling your customer data, then a hosted solution is not right for you. Event Espresso vs. Event Smart: Which Is Right for You? You need maximum customization and autonomy and very specific functionality. You are a technical person, or have a developer on staff that is familiar with WordPress and Event Espresso. You like setting up servers, tinkering with server settings, and manually installing software. You like getting your hands dirty with CSS and HTML. Higher costs/fees are ok in the long-run. If you just wants things to work out of the box. If you want all-in-one convenience without worrying about separate hosting and security. Your needs don’t go beyond just having an awesome place to host events, a blog and website pages. Lower costs/fees are ok in the long-run as long as things are easier. Let’s say you use Event Smart and start selling 200 tickets per month, at $50 each, that’s $10,000 in ticket sales per month, and you are only paying $50.00 a month, plus any transactions fees (for a payment method of your own choosing). That’s a savings of over $1,200 to $4,700 a year, compared to the other systems such as Amiando Pro, Eventbrite or Ticket Leap. You will have full control over your data, and some design aspects. Using Event Espresso and WordPress for about $300 per year (again plus the transaction fees) + more of your time than if you were using Event Smart. However, you will have full control over everything, including data and design. What are the costs of a self-hosted event management solution? These types of solutions will vary in price, but tend to be much more cost effective in dollars, yet much more time consuming. With hosted event management solutions, you have to maintain the server, software updates, security, and deal with plugin and theme conflicts on a daily/weekly basis. That being said, the software (Event Espresso and WordPress) is usually very inexpensive and/or free, which makes it much more enticing to self-starters and do-it-yourself types. If you like getting your hands dirty and spending lots of time on your event website, this solution is for you. 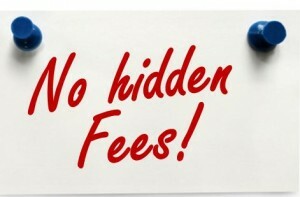 What are the costs of a hosted event registration service? That depends on what company you choose. Now imagine if you will, using a service such as Amiando Pro, Eventbrite or Ticket Leap to handle your event registrations. Basically, you are paying them for the ability to manage events, accept online registrations, store and manage your registration data, and accept payments, for one or two “nominal” fees, usually per registration. Just think about how much all of the these fees can add up. For example, if you use Eventbrite to handle all of the registrations, for just one event that sells 200 tickets per month, at $50 each, that’s $10,000 in ticket sales per month. Now subtract Eventbrite’s fees of $448.00 ($0.99 per ticket, plus 2.5 % of the ticket price) and multiply that by twelve months, to get $5,376.00 in ticketing fees. That’s how much you’re paying Eventbrite in fees every year! On the other hand, a hosted event registration solution, such as Event Smart can cost a fraction of what other hosted solutions cost. Imagine hosting an unlimited number of events for free, and selling hundreds, or even thousands of tickets with no hidden fees, because Event Smart only charges you for the event registration features that you need. Event Smart allows you to be successful, while spending less time managing your server and dealing with those pesky hosting limitations. Is one easier to use than the other? Nope. The interface of both Event Smart and Event Espresso are very similar. However, as far as installation, maintenance and security is concerned, the self-hosted solution (Event Espresso and WordPress installed on your own web server) will take more time and effort to maintain in the long run. We always recommend everyone to use Event Espresso, so you are in full control of your site. However, rather than learning the ins-and-outs of web hosting and database backups the hard way, some people just like to sit back and spend their free time doing things that matter. Like managing events, making money, and spending more time with loved ones. Those people prefer to use Event Smart. The final choice is always yours. Which of these do you use? How has it best served your needs so far? If you’ve used one of the other systems, how do they compare and why did you switch to your current option? Share your comments below. 1, Really unfortunate naming strategy. Is the intent that you are referring to existing Event Espresso users as being Event dumb? Event Smart is not a (smart) name. 2, Most people are hosting their Event Espresso solution with another company already, so it’s the same as your cloud solution in this respect. Each company has control over the type of hosting they obtain, wrt performance, availability, and it’s asynchronous to a cloud solution. If a self hosted solution has a problem, it does not necessarily effect other companies. 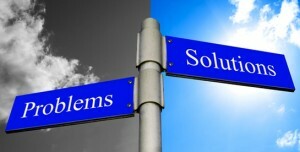 Cloud based solutions tend to impact all companies when failures occur, either hardware or software. If an individual company finds a bug, the cloud business needs to decide if they want to interrupt the operation of all the other customers because of this one bug fix. 3,Response to your cons of “self hosting”. a, Requires more time and work. 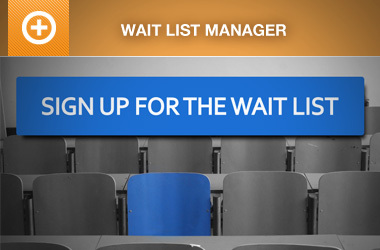 The hosting agent handles the basic stuff, customer only responsible for updates to Event Espresso software. It’s true that there are problems sometimes with the updates, but that would be the same with the ‘Smart’ solution. b, You can update WordPress automatically. c, Most hosters these days offer real time backups, with instant recovery, so better than ‘regular backups of ‘smart’ solution. d, Security always a risk, but there are security solutions. Cloud solutions offer a bigger target to hackers, and more user id’s at risk, potentially effecting all business users. Will you be protecting user credentials on a separate HW vault like banking solutions? probably not. benefits to Cloud ‘smart’ solution. a, Cheaper. This will be attractive to many, when you run say 3 -4 events a year. Just pay for the events you run, cancel the service until the next events. b, I think you are reaching when comparing most sites with expensive services like WP engine. I doubt many users use these guys. c, Only pay for the services you want and need. True for both. d, You know, WordPress is pretty straight forward. Most hosters provide wordpress installation services for free. this point might be considered as more fear mongering (marketing) than reality. e, Most use a hoster, who deals with the technology side, limits etc. f, There are some good security plugins out there with auto updates. g, Regular database backups. Hosted real-time backups are better, available from hosters in the market. h, Here is a real benefit you can provide. Tell us that you will be using continuously available (failure tolerant) hardware, where failures can be taken care of without taking the solution down, where you can expand the system easily without negatively impacting availability. 5 nines availability, with fast response time. Do you plan to offer this? j, Your idea of a directory won’t work for us. we have a targeted market, we want them to come directly to our site. They won’t be interested in a third party directory, sort of yellow pages approach. k, If its free, that’s a good plus. l, Some customers may be concerned about others having access to their customers data, and this may also be a privacy issue for prospective customers. Look, I understand most of your stuff is just marketing, and we have had a lot of experience with a cloud based solution from “…suite” which has been an expensive problem. They have too many customers, lose focus on supporting individual customer needs, don’t understand how to manage seasonal performance, charge lots of dollars trying to educate users how to use their complicated solution. I’m sure some will find your alternative solution attractive, but it’s probably not for everybody. Sorry if the naming is offensive, I think you’re taking it a little too far than is intended. Look at the naming scheme in the industry and you’ll find it’s suitable. An infrastructure like we’re building with Event Smart is more powerful than one individual server. There is duplication, redundancies, etc. 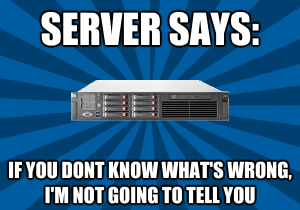 We do not rely on one server to operate. Managing your own hosting does have its perks, in that you can choose when to do updates or which issues to address. However, the advantage of cloud hosting is that issues can be fixed for more users at one time, rather than the added cost of updates on thousands of individual sites. The difference in which infrastructure you favor is really about preference and control. a) Update problems with Event Smart are going to be very infrequent, because we can do testing in a staging environment for our own server configuration with plugins and themes before releasing public updates. With the self-hosted platform, we cannot test every configuration of server, plugins, themes, etc. so you have to take on that responsibility. With Event Smart, the updates are fully-managed. b) Yes, you can update WordPress automatically, but their updates are not perfect. Last year they rolled out an update to test whether what they did would break plugins, which it did and broke people’s sites, then they released another version to fix it. So, WordPress updates are not perfect or should not be considered perfect. With Event Smart, again, we have a staging platform where we test updates before they are applied. c) Right, glad to see this. d) An entire hosting company is a FAR much bigger target than Event Smart is or ever will be. Event Smart can respond to a security risk more quickly than thousands of users individually. Most of the security issues come from outdated versions of WordPress, plugins and themes. And our experience with Event Espresso tells us that most users are not as good at keeping things up-to-date as they should be. With Event Smart, that is what we get paid to do. b) You would be surprised, and if they are using cheap hosting, then good luck to your performance and security. c) correct, with our new direction for EE4 support licenses, it is more a la carte (http://eventespresso.com/2014/04/new-direction-event-espresso-4-support-licenses/), but the Event Smart UI better adapts to the features you are using (or not). d) Again, from our experience and the data suggests that a lot of people don’t like dealing with hosting. e) True, but what if a plugin update takes your site down? You have to contact support or fix the problem yourself, where that won’t happen with Event Smart. f) True, but I hope you’re not relying on a plugin to “do it all” for you? g) Glad you can do this yourself. h) Does your host offer .99999 availability? Nobody does, it’s just not realistic and you’d be naive to believe if it was….like making a million dollars from working home part-time. (I hope nobody believes that scheme). i) Custom domains is in the works. j) If don’t want help selling out your events, would you prefer to be excluded from the directory? Also, whose to say your attendees don’t attend other types of events unlike yours? We fully expect that Event Smart will NOT be for everyone. But that’s reason #19: https://blog.eventsmart.com/2015/02/13/19-ways-smart-is-better-than-brite/ We still provide a pathway for more control and autonomy (if desired). Thanks for responding to my lengthy message. Look, I cam from a continuous availability vendor (Tandem). I understand what it takes to provide continuous availability to many users. It’s way more than just duplication, redundancy. As long as you have no single points of failure, you should be good. The managing your own host comment is more a benefit to you rather than the individual user. I’f I chose to use a subset of the functionality of the site, I only suffer from issues of that subset. So others that use more functionality are likely to have more problems. When there is a common code base, you have to interrupt all users every-time somebody finds a problem, or, more likely delay in fixing the problem for one customer, until more people suffer from it. So its not necessarily a benefit to standalone users. Don’t miss interpret, as your software is very solid, but there have been some sequential updates recently, that would appear to have arisen from incomplete testing. Better testing is always good, not necessarily a benefit one way or the other. You are correct, WordPress updates are not always perfect, and as a solution provider using WordPress as a base, you could consider testing Espresso software on every new WordPress release and advising customers whether to update or not. d, Kinda works against the one above. I agree, its the published vulnerabilities that WordPress publishes that opens the holes for hackers, which is why there is the need to update promptly. But you are paid to do this testing today, to alert users which versions of wordpress/ plugins to update to just as soon as you have completed the testing. If you don’t do that, users are left to do a backup, update, and pray for the best. Yep, anytime you can reduce costs for users, that’s awesome! I have to take issue with your comment on h.
Do you ever remember picking up a wireline phone and not hearing dial-tone? Good decision re support of custom domains! j, I think you are trying to elevate your brand above where it is. We have a particular niche market, they are unlikely to be checking outside well established existing channels for our type of Events. Maybe relevant for others, just not for us. So long as you continue to offer both solutions, everybody will be happy. What worries users is the threat of loosing a solid reliable solution, because of some miss understanding of the value of cloud based solutions. I fear a cloud based solution is a bigger benefit to a supplier, than individual customers, and regrettably we have had first hand experience of this. So how did you like the Event Espresso 2Go name? I’m also not aware of any web hosting companies that offer 5 9’s availability. We plan to continue to offer both the self-hosted and hosted solutions because they meet different needs. 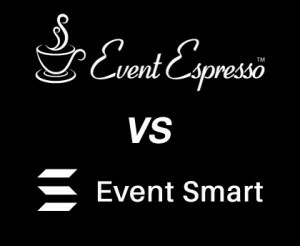 Thanks for this very clear presentation of the differences between Event Espresso and Event Smart. Honestly, I was very “dumb” when it came to self-hosting Event Espresso, so I gave up on it. When the announcement of Event Smart came along, I thought, “I’ll check this out.” I need something that I can do myself. Event Smart just might be it. Thanks! I’m surprised to find a company that would talk so badly about ONE OF THEIR OWN PRODUCTS. I run a website for an organization that uses self-hosted EE4 for events – just finished a meeting where I told the Board that EE4 works wonderfully well, so I’m hopeful they don’t read this. I also hope you are not trying to set us up for discontinuing EE4 and switching to ES, which this kind of sounds like. – With EE4 we get everything branded with our look and feel, and our URL – doesn’t sound like that’s true with ES. We didn’t mean to come across like we are speaking badly about one of our own products. We have had several people who have asked for greater detail about the differences and why they would choose one version over the other. Notice most of the information is primarily focused on the infrastructure differences between the self-hosted and hosted versions. The features, functionality, and power you get from Event Espresso is so great that we’re trying to make it available to those who prefer a different architecture and level of service. We’ll address the tone of this article, or subsequent articles if it looks like we’re putting Event Espresso down, which we’re not! I’m glad that using Event Espresso has been such little work for you, it is for most people, but we do spend a good portion of our time helping people address technical issues, that sometimes we forget how easy it can be. I’m with you, that it only takes 10 minutes to setup Event Espresso and there are normally very few issues. Thanks for sharing your experience. The amount of work really comes into setting up your individual events, and the task of data entry can’t really be removed. Right, branding options on Event Espresso are more comprehensive. So, kudos to you for choosing Event Espresso because there are even greater things to come. Sounds like an accurate comparison of the pros and cons of both to me. We are currently evaluating both, I needed to get a site up and didn’t want to wait to hear back from some pre-sales questions so set up an Event Smart trail. I’m actually find that’s a great way to evaluate the platform as a whole (much better than the rather limited functionality on your demoee.org install). One question though. Can data be exported from ES, then imported into EE? (Or vice versa?) Would anything cause issues?